The definition of good customer service is changing. For many years, customer service was exclusively about getting customer in contact with another human who can help serve the customer’s needs. Whether that contact happened face-to-face, by phone, or via letter, the basics of good customer service remained the same. A recent study suggests that the internet has changed the way that some people think about customer service. New data from Aspect Software shows that millennials are now looking for a customer service experience they can have alone. The study showed that customer service remains important with consumers in the U.S., which is in line with research covered in previous articles on this site. The researchers reported that 76% of Americans view customer service as a true test of how much a company values them (perhaps the other 24% wanted flowers, too). This sentiment remains strong among millennials. Of those who participated in the survey, nearly half of US millennials have stopped doing business with at least 1 company because of poor customer service in the past year. The value of customer service is nothing new to marketers, but what is different is the way people choose to get the help they need. Besides phone, in person, or by mail, it’s now possible for consumers to get help on social media, through email, on FAQ pages, or user forums. The study suggests businesses aren’t responding quickly enough to these changes. “The average consumer interacts with customer service 65 times a year, yet they are increasingly underwhelmed with an experience that does not reflect consumers’ digital and mobile preference nor their desire to resolve issues on their own,” said Joe Gagnon of Aspect Software. The point Gagnon was trying to make is supported by the growing expectations for customer service among young adults. According to the survey the majority of U.S. millennials (55%) say their customer service expectations have increased over the past three years. Improving customer service doesn’t necessarily mean hiring more customer service reps. The survey suggests millennial consumers want technological customer service solutions they can use on their own. More than two-thirds of millennials (69%) say they feel good about themselves and the companies they do business with when they resolve a problem without talking to customer service. Though the idea of self service customer service may seem counterintuitive, it makes sense when one thinks about it. Customer service reps for a company are normally providing assistance based on information given to them in a user guide. Giving customer access to the same information eliminates the need for sitting on the phone or waiting for an email reply. There are several ways businesses can empower consumers to solve problems on their own. Having a Frequently Asked Question section is a simple but effective fix for handling the most common queries. Another possibility is adding a troubleshooting guide, a walkthrough that helps customers diagnose their issue while testing various solutions to fix the problem. Another option is to have a help forum where people can post their questions to other users or see responses that have worked for others. 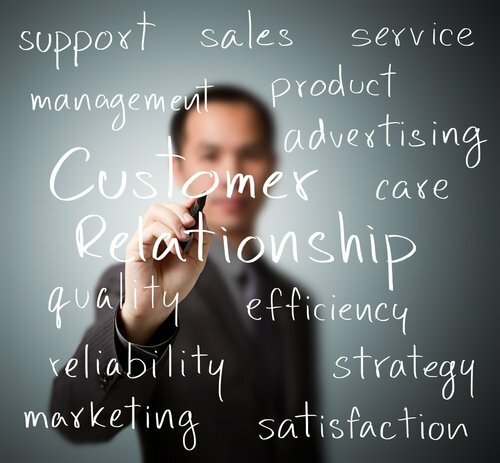 There are a lot of ways to help customers by allowing them to help themselves. Providing good customer service is a necessity for a businesses and its important to remember that what qualifies for as good customer service varies by demographic. To gain the loyalty of the young adults who are the future of a brand, business owners need to use technology to give them the customer service experience they want. For more on the best customer service tactics for the modern age, read this article on the value of using live chat to handle customer service.